From cocktails to curries, we think all the tastiest things come served in pineapples – and now, that includes chocolate. 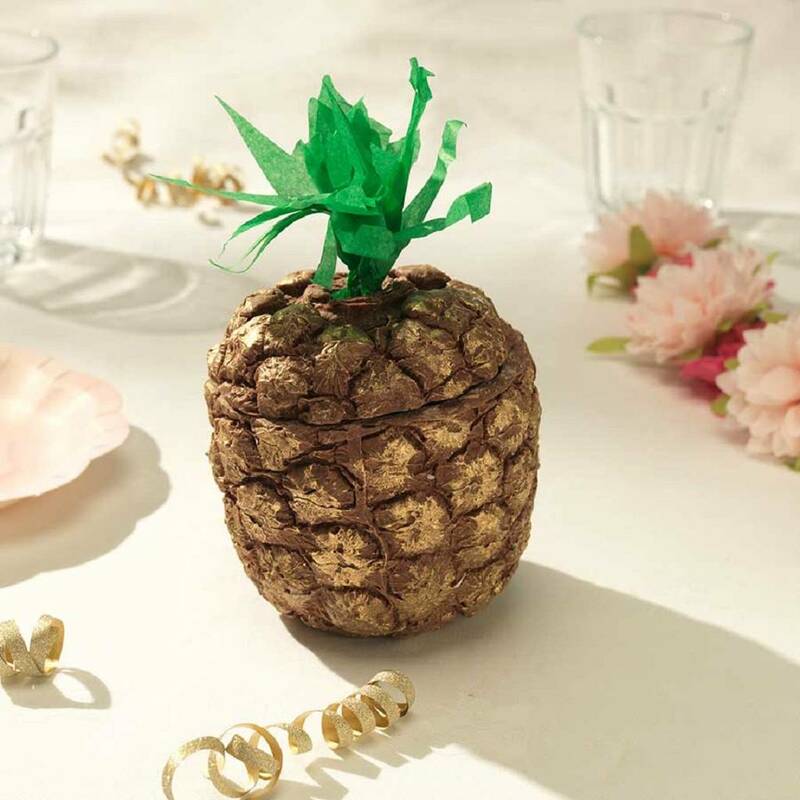 You’d be forgiven for thinking that our gorgeously golden life-size chocolate pineapple had just arrived from a tropical island, but this milk chocolate marvel actually hails from the Somerset hills, where it has been handmade by our team of chocolatiers. Lift off the lid to discover an exquisite hollow interior that’s been filled to bursting with our milk chocolate buttons. Dusted with edible golden glitterIngredients: Coco Mass, Sugar, Cocoa Butter, Whole Milk Powder, Emulsifier: Soya Lecithin, Natural Vanillin.